Harley’s evergreen Sportster has some serious competition these days. And the biggest threat is the new Yamaha Bolt. It weighs less, handles better and has much improved ergonomics—with dirt track-style bars and mid-mounted footpegs. 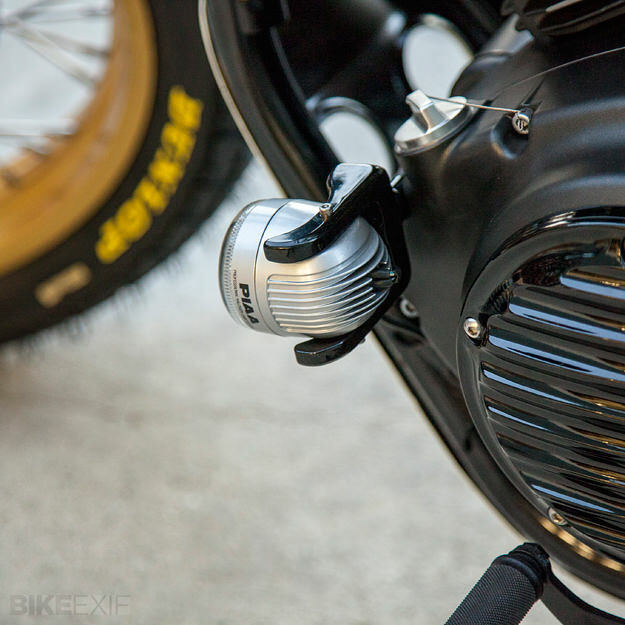 The stock Yamaha Bolt has pleasingly minimal looks, with hints of bobber styling and blessedly little bling. But that hasn’t stopped Yamaha USA from pushing the proverbial envelope. 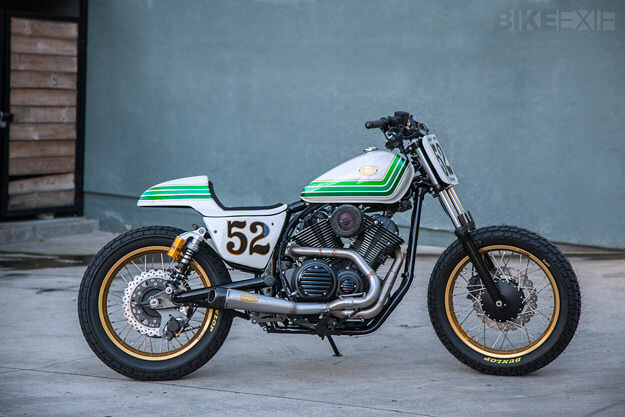 It’s delivered the Bolt to some of the top custom shops in the US, to see how they’d rework the bike—and this is what Roland Sands has come up with. Despite the drastic makeover, the mods are easily achievable—with zero cutting. The tank ridges were cleaned up a little before paint, and the new seat unit was molded from fiberglass before being fitted with race foam and covered. New side covers were fabricated from aluminum to match. Engine covers are powdercoated in gloss black, and the intake was replaced by an RSD Carbon Fiber Slant item. The custom exhaust system is in stainless steel with a carbon tip. The swingarm has been braced and powdercoated in black to match the engine. The back wheel has gone up from 16” to 19” to create a tracker-style stance, and the rims are Sun Gold anodized, prepped by Buchanan’s. 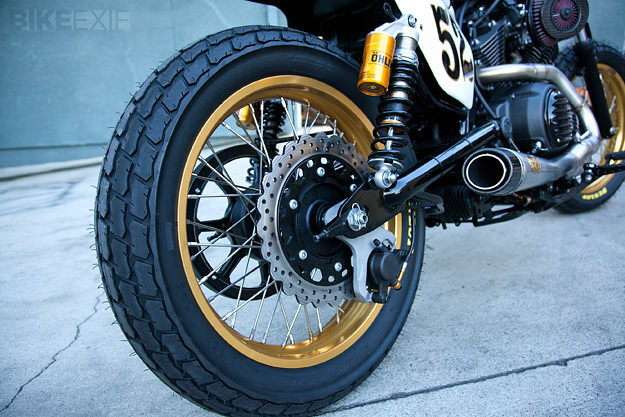 Tires are Dunlop flat track rubber. Spiegler brake lines add a neat touch of black and gold, and the control cables are from Barnett’s Stealth series. RSD Step Moto bars are clamped onto RSD Nostalgia risers in a subtle Black Ops finish. The headlight, mounted on the left of the engine, is a miniature PIAA unit. It’s a radically different look from a well-chosen selection of parts. I’m guessing Yamaha will be very happy—and kudos to them for giving custom builders carte blanche with their new baby. 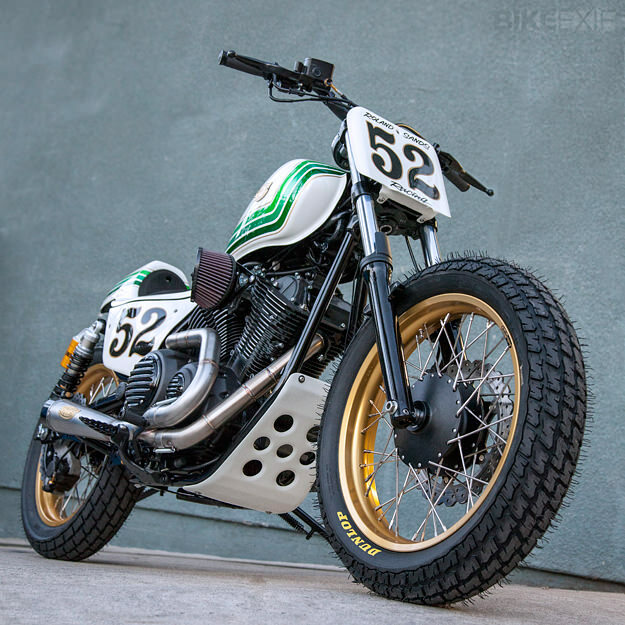 Head over to the Roland Sands Design site for more custom goodness. 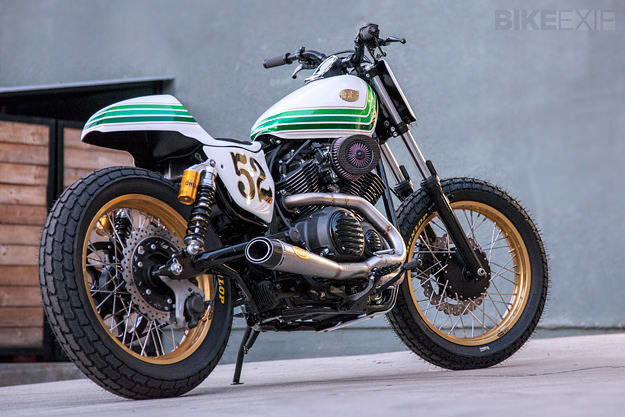 Or check out our report on Chappell Customs’ bobber-style Yamaha Bolt.